The first step is to get hold of the MSI for Java, something that should be quite easy but isn’t that obvious. At the time of writing, the latest version available is Java 8 Update 60. When the download is completed, run the exe-file and step through the first part of the installation, this is where all files are downloaded. When you get to the following screen, quit the installation since we do not need the JDK installed, we just need the files. The MSI we need is located in: “%AppData%\LocalLow\Oracle\Java\jre1.8.0_60_x64”. Copy the MSI-file to another folder on your computer where Orca is installed. In my case, I copy the file to “C:\Applications\Java\8u60”. Now that we have the MSI, we need to create the MST that we will be using. Start Orca and open MSI we just copied. Orca should now list all tables in the MSI. As you can see, there are quite a lot of things we can change, but with everything you change there is a risk. For Java, I only disable the automatic update and the automatic update check. Doing this will stop the annoying balloon that pops up in the taskbar and it keeps users from updating Java manually. In this case you might ask why I do this, and the answer is simple. A lot of my customers have other applications that rely on a specific version of Java or that hasn’t been tested on the latest version. The settings that we need to change is located under the table called “Property”. In the menu, click on “Transform” -> “New Transform”. Then change the two values marked above from “1” to “0”. 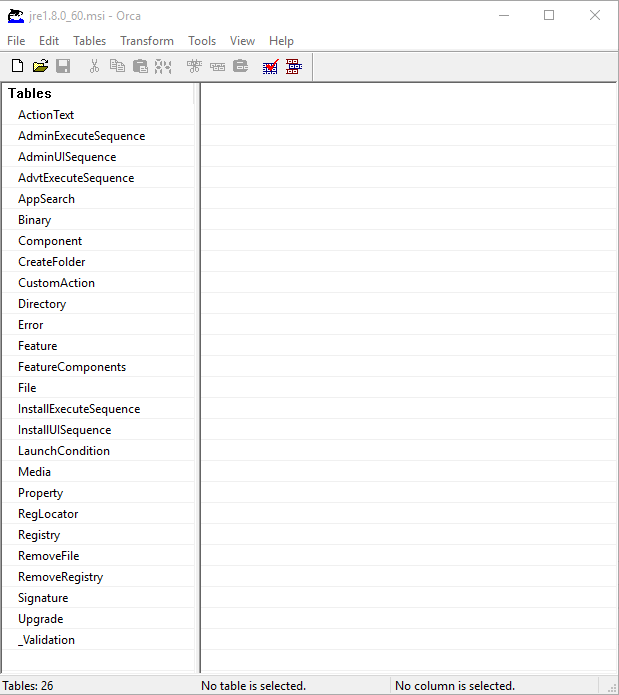 Then under “Transform”, click on “Generate Transform”. This will prompt you to save the MST-file, save it in the same folder as the original MSI and then close Orca. I use the same name on the MST and MSI-file. 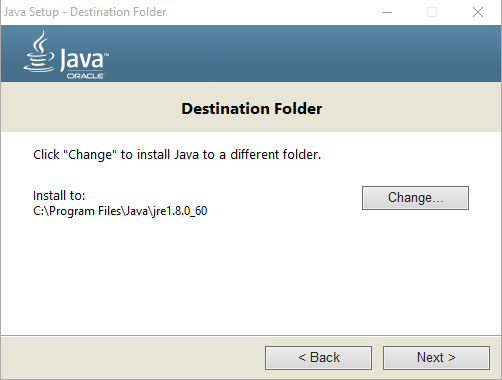 This will install Java silently and applying the two settings we configured in the MST. 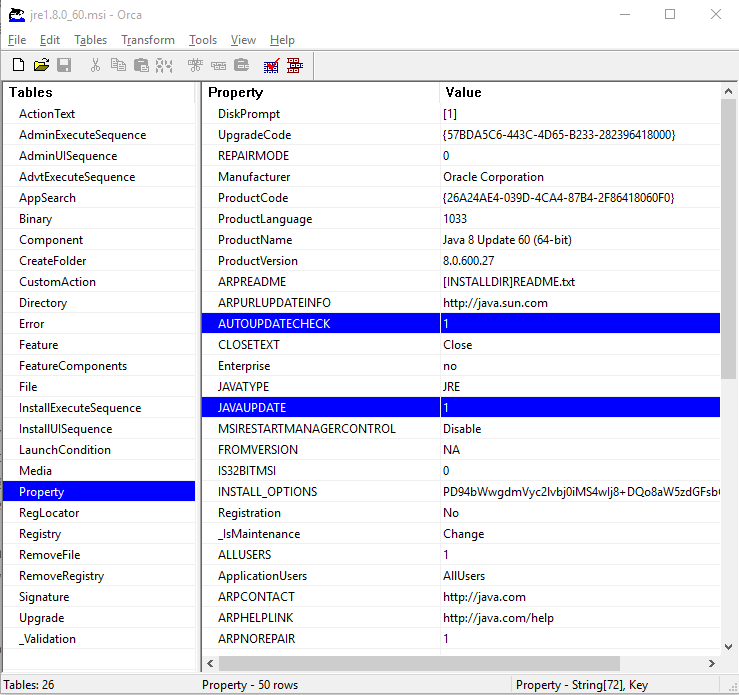 This entry was posted in Applications and tagged Application, Java, msi, mst, orca, SCCM. Bookmark the permalink.